I absolutely LOVE the Kardashians! 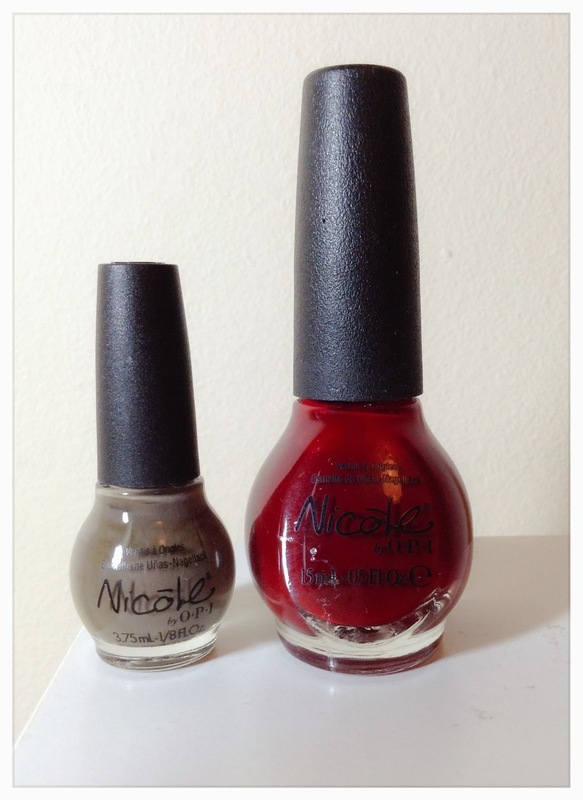 So I was mega excited when they teamed up with Nicole By OPI a while ago to create their own nail varnish collection (Kollection?!) I managed to get my mitts on a few of the Kardashian Kolors (and you can see swatches of GORGEOUS deep red Sealed With A Kris here) but I was dying to get more. 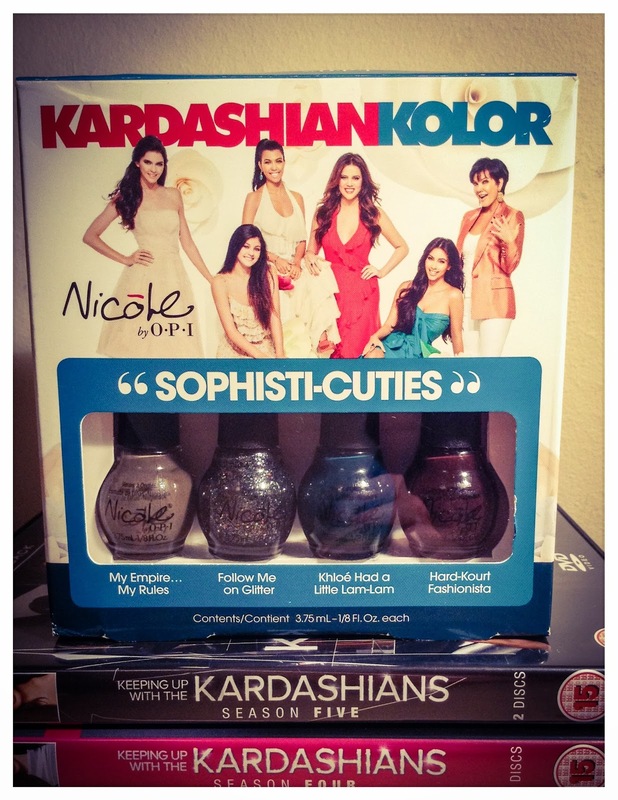 So I was mega excited when my brother and his girlfriend gave me this Kardashian Kolors mini selection Sophisti-Cuties for Christmas. How cute are these teeny tiny bottles?!?! You can see them here next to a big Momma Kris bottle to see the size accurately. So cute, and perfect for popping in your handbag or taking away on holiday with you! 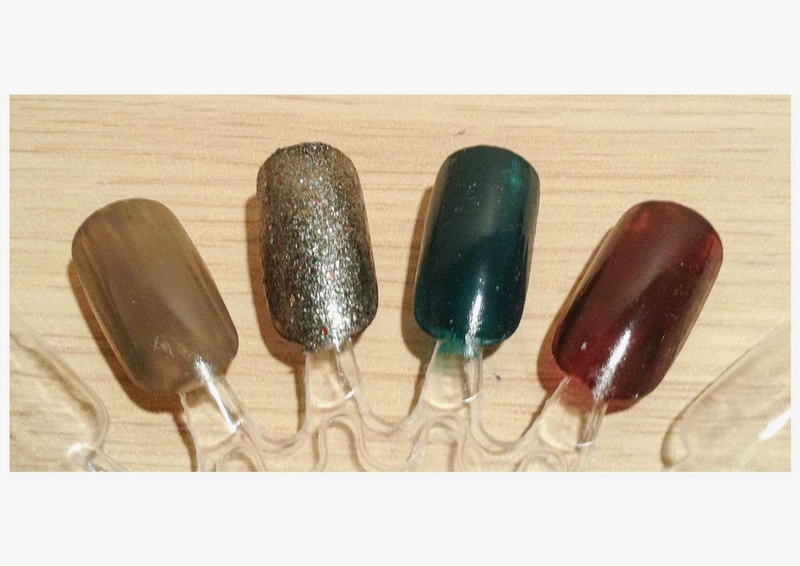 I love all 4 of these colours, and like how varied they all are. I LOVE grey nail polish, and My Empire My Rules is a beautiful creamy mushroom colour, which I’ll definitely get a lot of use out of. Follow Me On Glitter is such an unusual glitter, with a dark base and dark sparkles inside, it’s perfect for a “grown up” glitter mani! Khloe Had A Little Lam Lam is a beautiful shiny teal colour which will be great for Spring. Hard Kourt Fashionista is a gorgeous chocolate brown with rich red undertones, which will bring a sophisticated edge to any outfit. I’ve not seen these in shops in the UK anywhere (sob sob) but I think my set was bought on good old Amazon.co.uk if you want to treat yourself to one. Big hand hugs to Will and Hels for my lovely set – you know me too well! 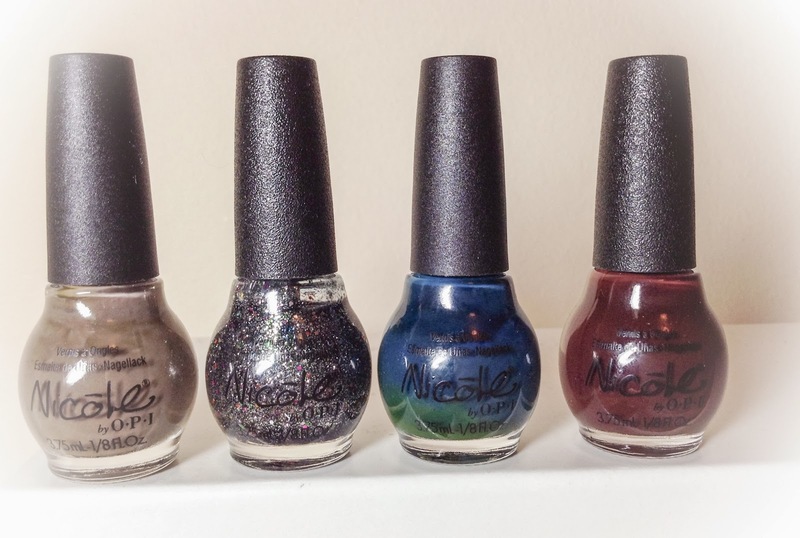 I’m sure these beauties will be featured in a Midweek Manicure post soon, so keep your eyes peeled.